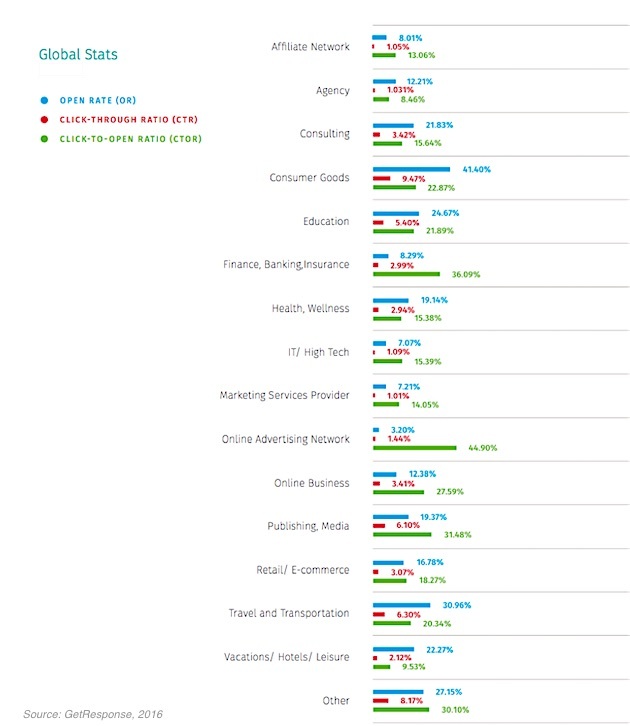 Which industries have the highest open, click-to-open, and click-through email rates? How does the use of tactics such as tracking, targeting, and subject line testing vary by vertical? 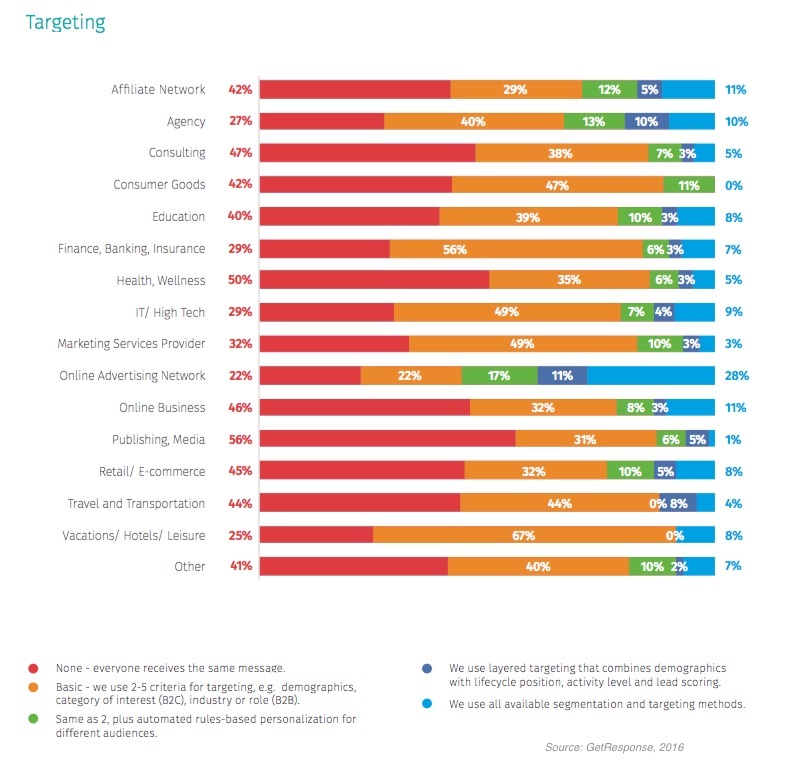 To find out, GetResponse, Holistic Email Marketing, andSmart Insights surveyed 1,831 global email marketers who work for companies in 15 major industries; most (68%) respondents have senior roles within their organization, holding titles such as CEO, director, owner, department head, or manager of marketing, digital marketing, or e-commerce. Industries that provide core services, such as utilities and telecommunications firms, have the highest average email open rates. Online advertising networks, finance/banking/insurance firms, and utilities have the highest average click-to-open rates. 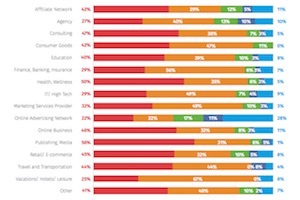 Marketers across all industries send five emails per month to consumers, on average. 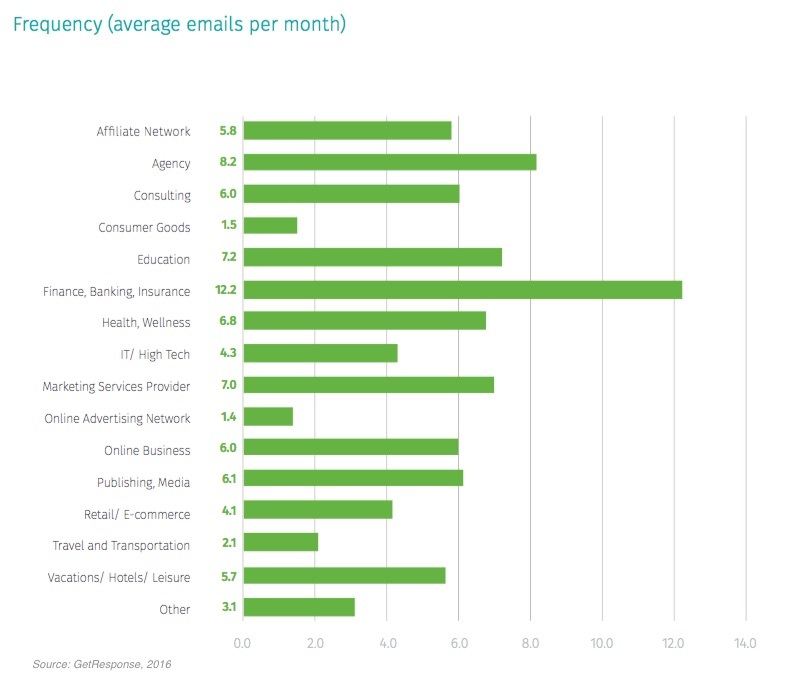 Finance, banking, and insurance marketers send the most emails per month (12.2 on average) of the industries examined. Some 15% of marketers surveyed say their company still does not regularly review email opens and clicks; only 23% say they have integrated their website and emails to track what happens after a click. Some 42% of marketers across all the industries do not send targeted email messages; only 4% use layered targeting, incorporating behavioral data to send relevant, personalized email messages to their audience. 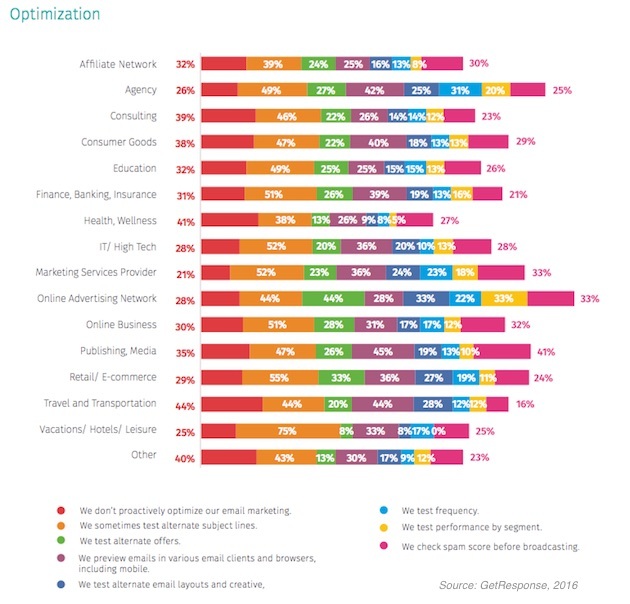 Nearly half (47%) of marketers say they sometimes test alternate subject lines to optimize email performance; 18% test different email layouts and templates. 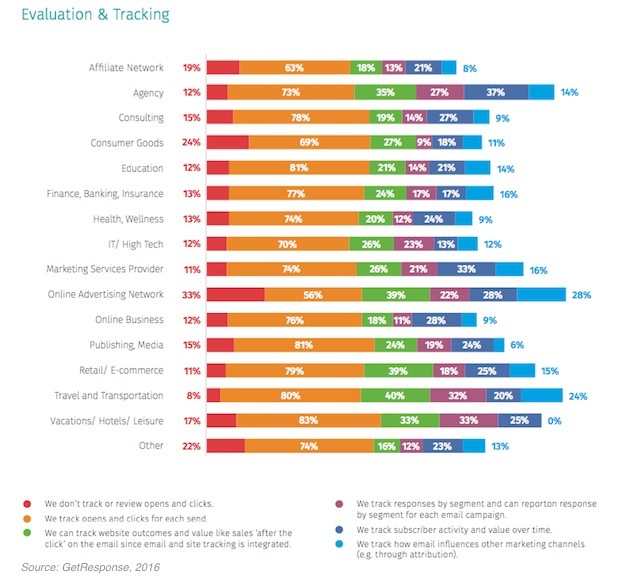 About the research: The report was based on data from a survey of 1,831 global email marketers who work for companies in 15 major industries.